They say good things come in small packages and that’s certainly the case here. 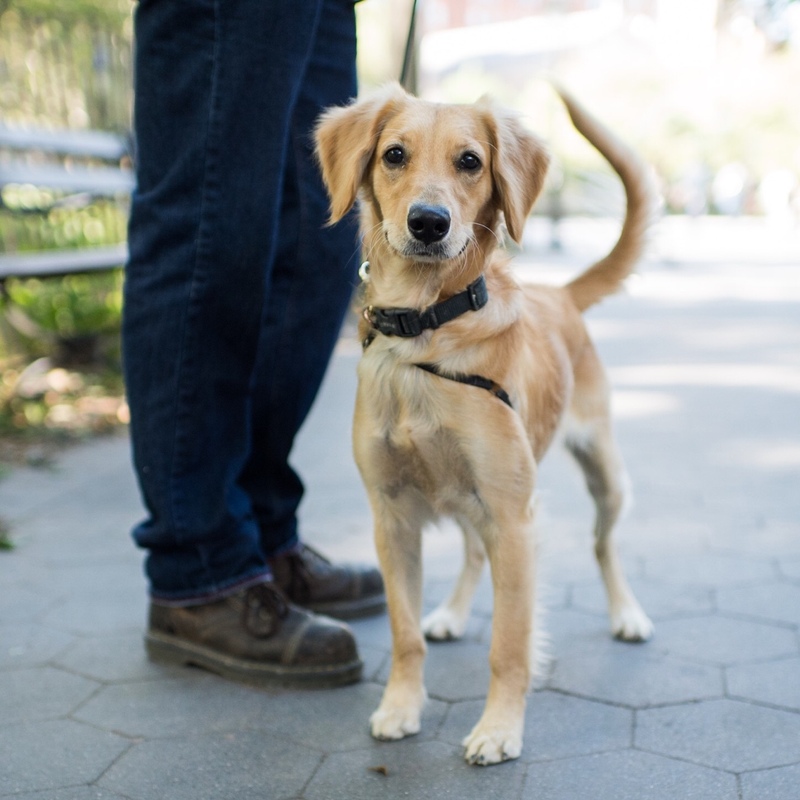 If you’re looking for a heartwarmingly gorgeous, besottedly loyal and boundlessly energetic BFF that is family-friendly, and small in size but large in personality, then the Miniature Golden Retriever might just be the pet you’ve always yearned for. 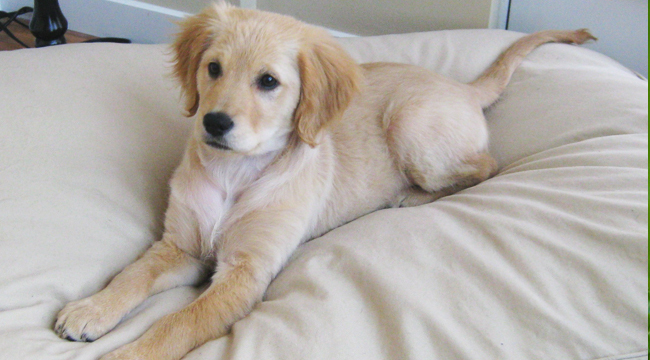 Think everything you love about a Golden Retriever, and that’s what you’ll get with this jaw-droppingly cute crossbreed. Let’s get on with it, and I’ll give you the grand tour of this unique furry friend. #1 What is a Miniature Golden Retriever? Is all this mixing bad for the Golden Retriever breed? What are the differences between a Mini Golden Retriever and a Goldendoodle? 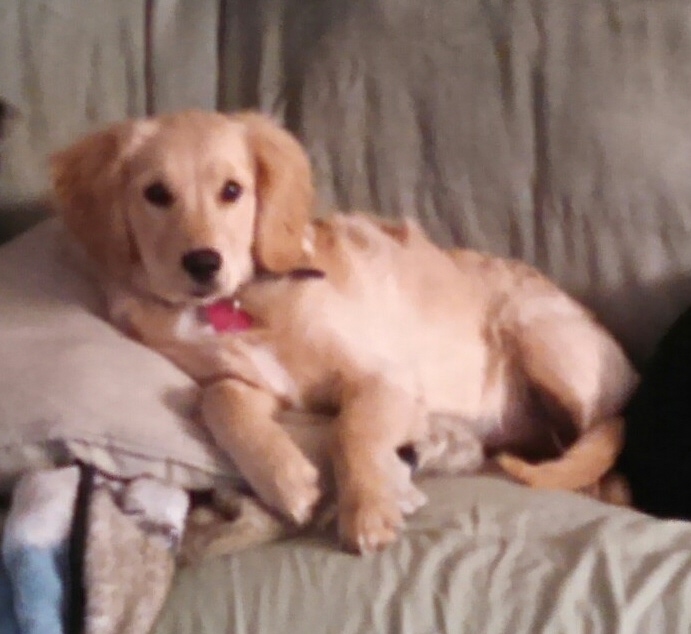 What are the differences between a Mini Golden Retriever and a Mini Goldendoodle? 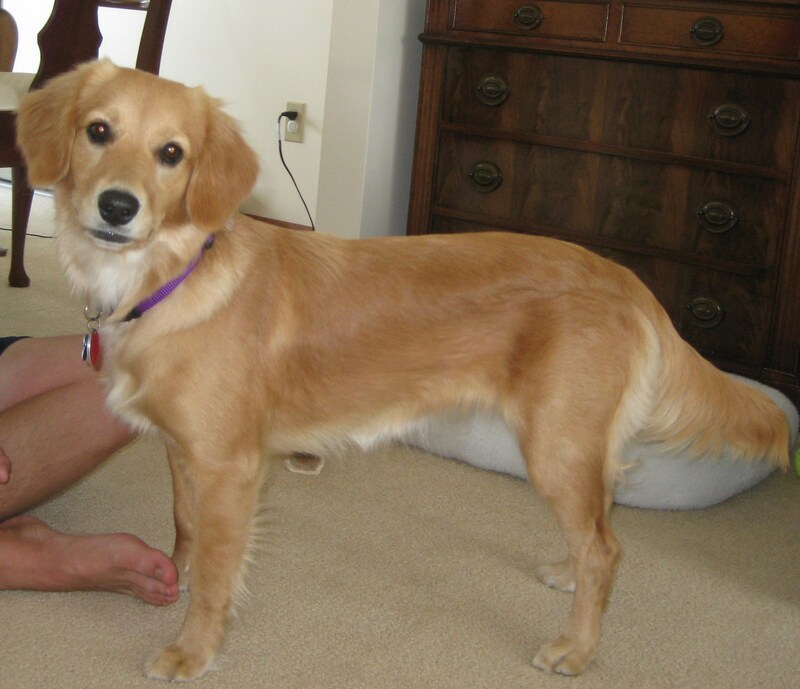 What are the differences between a Mini Golden Retriever and a Dwarf Golden Retriever? #4 Will my home be covered with hair? #5 Couch potato or athlete? Is my new BFF going to tear up my home? #6 They’re not fussy eaters. #7 Are Mini Goldens Officially Recognized? #8 Do Mini Golden Retrievers have health issues I should worry about? How long will we have together? #9 What is the personality of a Miniature Golden Retrievers like? 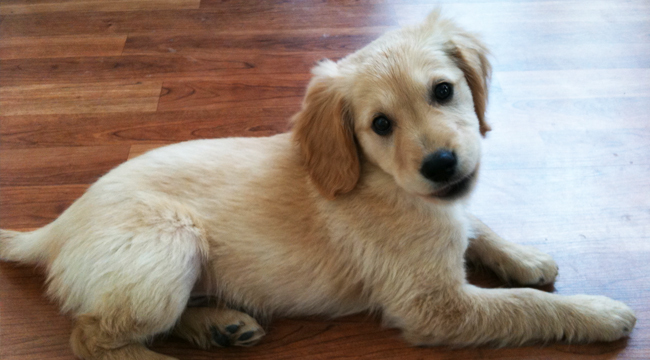 #10 Okay, where can I buy a Mini Golden Retriever?! Should I get a Miniature Golden Retriever? One word – cute! Okay, there’s more to it than that, but how can you resist this face? You may be wondering if the Mini Golden Retriever is a real breed, or if it’s just another new designer dog that’s rapidly gaining in popularity, thanks to celebrities parading them around and families wanting pint-sized dogs of their favorite breeds. Well, we think that they’re not just a designer breed. 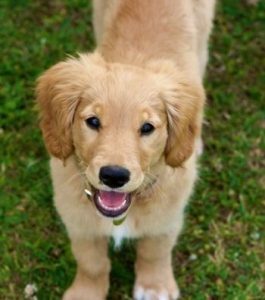 The Miniature Golden Retriever was bred for a specific purpose, and that’s to give people the opportunity to enjoy the Golden Retriever’s best qualities in a smaller dog. 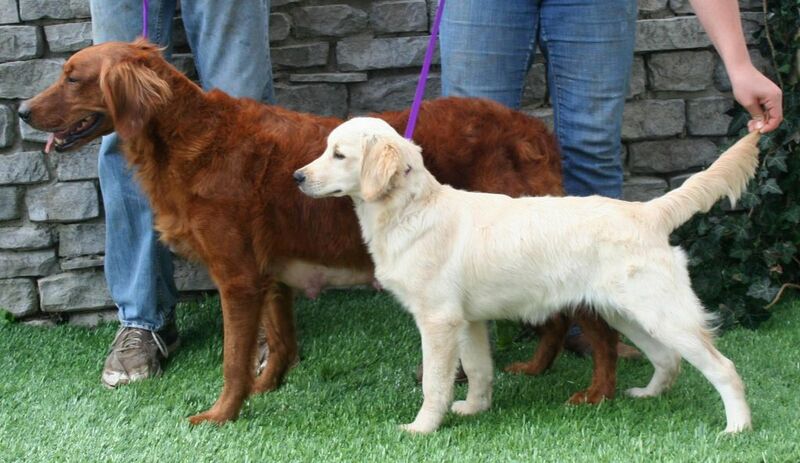 Breeders are trying to make sure they get the maximum amount of Golden Retriever in the crossbreed mix, aiming for 50% to 75% Retriever lineage. As a result, the Mini Golden Retriever is an ever-evolving combo of the Golden Retriever, Poodle, and Cocker Spaniel. As the American Kennel Club does not recognize this cross, breeding is unregulated, and therefore all sorts of Mini Golden Retrievers have come out of the breeding pot. The first Mini Golden Retriever that rose to fame was the Comfort Retriever that was first bred by Kathy Burgess in 2003. The first Comfort Retrievers were a cross between the Golden Retriever and a Cocker Spaniel, also known as Golden Cocker Retriever. Some breeders weren’t too convinced with this mix because of the snappish tendencies of the Cocker Spaniel. Another burning question on many a person’s lips. We’re going to go with a firm no on this one. Why? Well, they’re not just a smaller version of the breed, they’re related to them. 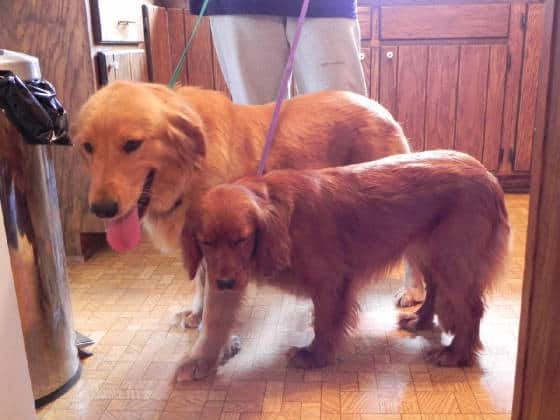 Creating smaller versions of purebred dogs means dabbling with their genes, which is never a good thing as they can suffer from ailments like dwarfism. So, in short, as long as you buy your Mini Golden Retriever Puppy from a reputable breeder, it’s going to be just fine. There is one thing to watch out for, however, and that’s if you get a Cocker Spaniel mixed with a Golden Retriever. There is a small possibility that they might nip and bite, so they could inherit this characteristic from their parents. So if you’ve set your heart on this beauty then do your homework and make sure you a get crossbreed without Cocker Spaniel lineage. This is especially important if you have a young family, as there could be a few tears! Both of them are crossbred with Poodles and have a lot in common. 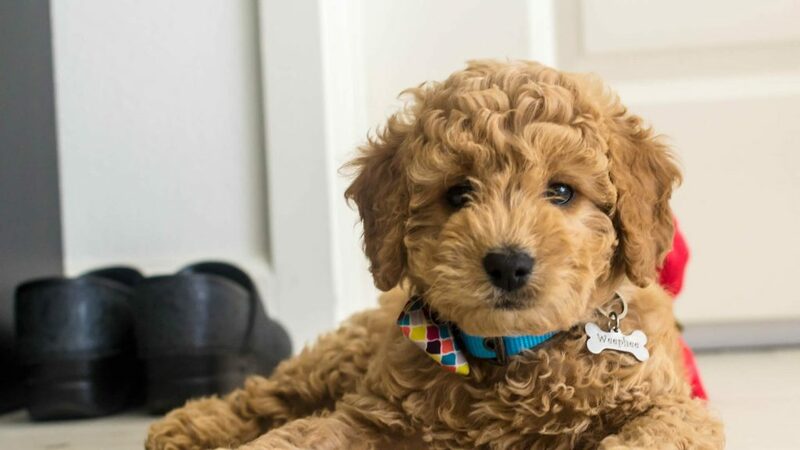 The Goldendoodle is a medium-sized pooch with curly locks that are quite high maintenance, while the Miniature Golden Retriever is small to medium in size and also requires daily brushing to make sure those glossy coats stay at their best. Both are good with families and very active! Don’t say we didn’t warn you! The only significant differences are their coats as mentioned above and also the fact that Miniature Golden Retrievers are incredibly easy to train. In a nutshell, they have more similarities than differences. Mini Goldendoodles have MUCH more Poodle in them, but as breeding is a mix of Toy Poodles, their estimated size is about the same as the Mini Golden. They range from 15 lbs to 30 lbs (7 kg to 16 kg) and 16 inches to 20 inches tall (33 cm to 56 cm). Though they come in similar-sized packaging, you can certainly see the difference between them. Mini Goldens tend to have fur that is sleeker, with waves rather than curls. 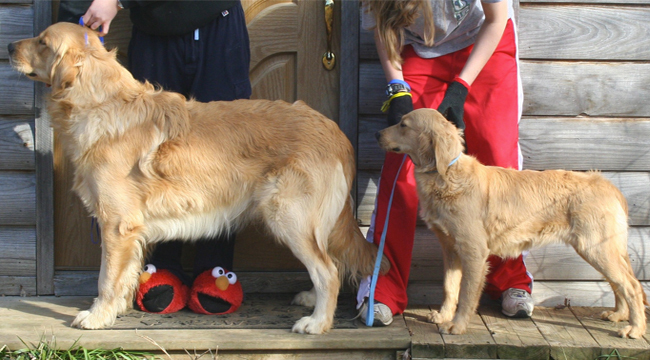 Dwarf Golden Retrievers have a condition called dwarfism, a genetic defect affecting bone growth. 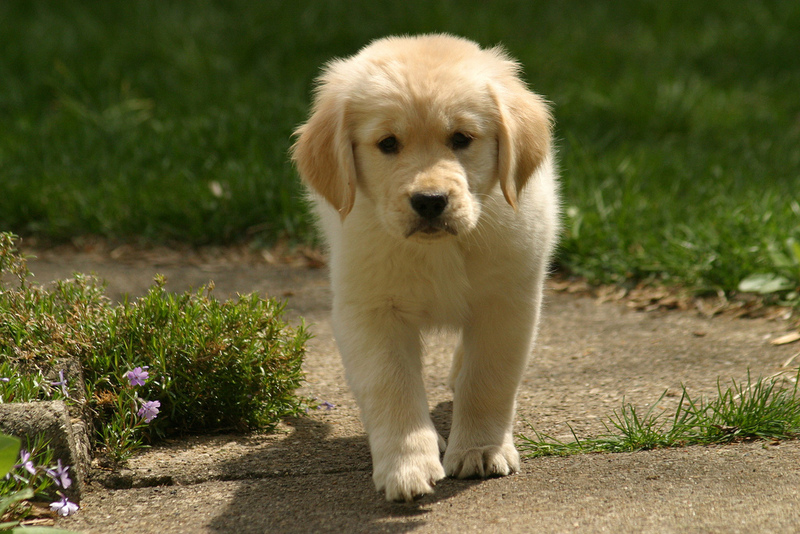 However, Miniature Goldens will continue to grow past two or three months of age, whereas Dwarf Goldens will present with stunted growth and skeletal deformities. These gorgeous pooches with their golden locks seem to be attracting some attention. They’re called many names, including Comfort Retrievers, Golden Cocker Retrievers, Toy Golden Retrievers, Golden Cavaliers, or Petite Golden Retrievers. Comfort Retrievers are an independent, trademarked hybrid that doesn’t contain Cocker Spaniel in their mix. The answer is not hard and fast, and it differs from breeder to breeder and even between litters. As they become more fine-tuned and purer, a clearer picture will more than likely emerge. As it stands at the moment, their weight ranges between 20 lbs to 55 lbs (9 kg to 25 kg), with a height of between 12 to 15 inches (30 cm to 38 cm). A fully grown Mini Golden Retriever is small, but it has plenty of love to give! 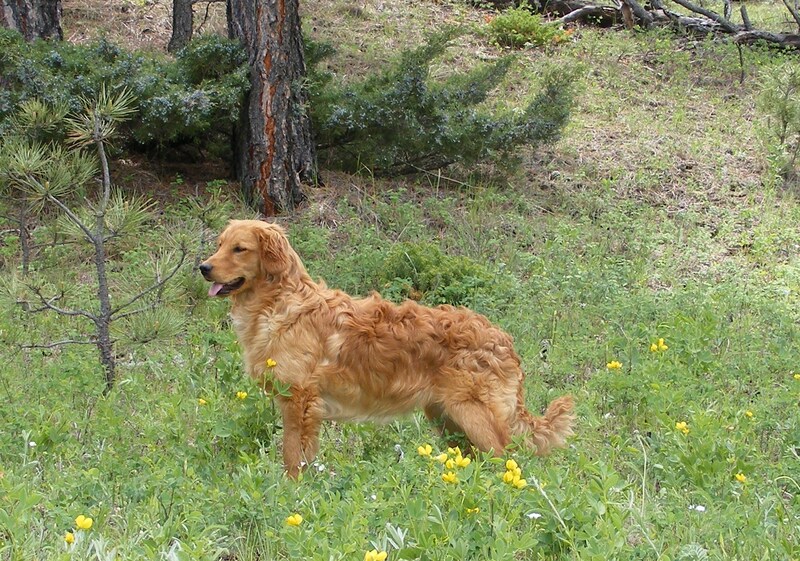 Like their larger counterparts, Mini Golden Retrievers shed an undercoat seasonally to adapt to changing climates. They are frequently called hypoallergenic, however, because they shed less dander than some other, more nasally-irritating breeds. Their grooming is simple, and only moderate maintenance is needed as long as you stay on top of it. Daily brushing is essential to ensure that their long locks don’t knot themselves into mats. When petting your dog, you should be able to feel down to their skin all-over, with no hard masses of fur. When dog hair knots, it can get to a point where it’s so tight against the skin that it causes INTENSE pain and sensitivity for your dog. Sometimes, mats can’t even be detangled manually and have to be shaved off. Hopefully, you won’t encounter this, but you’ll still do well to find a groomer in your area for monthly or biweekly trims. All the breeds that contribute to this mix are high-energy dogs. Mini Golden Retrievers need A LOT of exercise. Even though he’s smaller, he’s still full of energy .If you’re not prepared to move quickly, your Mini Golden will drag you along with surprising speed and strength during walks. If your idea of leisure time is being a couch potato, the Mini Golden is not a good match for your lifestyle. They like to be active, and they want to play—with you. Puppies, of course, have an excess of energy. Daily walks/jogs, puppy play dates, and even agility or obedience training can sort this issue out. These little athletes are incredibly eager to please you, so they’re easy to train. Given consistent training that incorporates your pup’s unique idea of fun, you’re sure to have a loyal buddy for life. Mini Goldens are so obedient that many of them serve as excellent therapy dogs. Their loving nature and natural intelligence, combined with their manageable size, make these hybrids perfectly suited to comfort people who may be intimidated by larger breeds. If you don’t exercise them daily, then, yes, your home could be a disaster zone! A yard is preferable, but they could do fine in an apartment, given daily moderate exercise and tasks to keep their minds engaged. Doggy daycare is an excellent idea, although it should not replace the time you spend with them or the training you need to provide them. This small Golden Retriever crossbreed is usually not picky about the food you put in its bowl. That said, Miniature Golden Retrievers will benefit from high-protein kibble that will help keep his bones and joints strong, especially since they’re highly active dogs. You can feed your Toy Golden Retriever 2.5 cups of dog food daily, divided between two meals spaced throughout the day. Avoid going over this recommended amount even if your Mini Golden gives you the puppy-dog eyes; this crossbreed is prone to obesity. These small dogs may also suffer from some digestive issues as they grow older, thanks to their Poodle parentage. The short answer is: by some organizations! The Designer Dogs Kennel Club (DDKC) and Dog Registry of America, Inc. (DRA) list Mini Golden Retrievers, but the American Kennel Club (AKC) does not. This is probably because Miniature Golden Retrievers are a crossbreed still in development. As breeding advances, we’re sure that things will change and more organizations will recognize them. There tends to be a general belief that breeds who sit more in the “mutt” category than “purebred” enjoy hybrid vigor. On one side of the coin, you have people saying that mixed breeds are healthier than purebreds, while purebred breeders say it’s complete and utter nonsense. So what’s the real deal here? The answer is inconclusive, as no statistically significant data has been found to support either side of the coin. However, responsible breeders will more than likely have vets doing gene testing for them to weed out known genetic diseases of the crossbreeds. 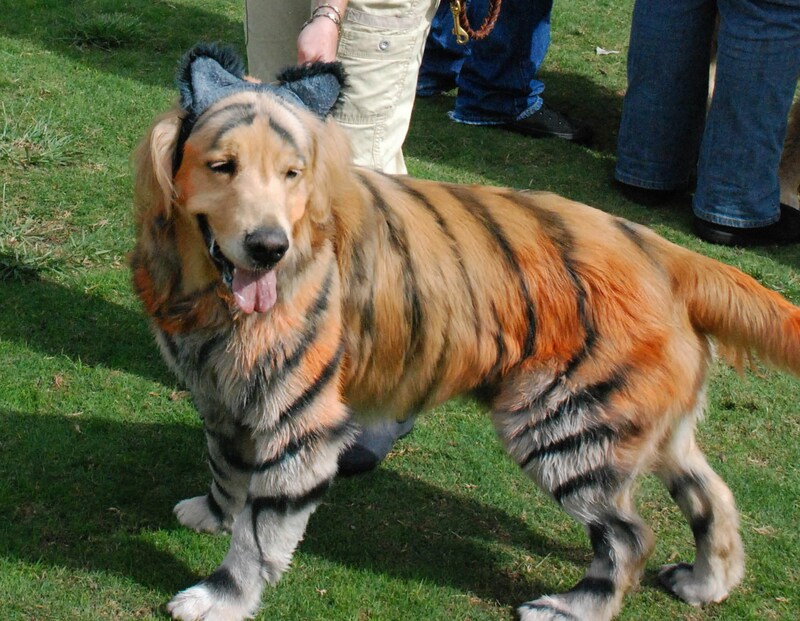 When purchasing your Miniature Golden Retriever, make sure to check the breeder out. Each dog is unique, and your Mini Golden could suffer from the conditions that commonly affect its parent breeds. Hip dysplasia, lymphoma, and skin problems are commonly seen in Golden Retrievers, whereas Poodles often suffer from progressive retinal atrophy, epilepsy, bloat, and collapsed trachea. Cocker Spaniels, which may or may not be included in the Mini Golden mix, frequently display cherry eye, cardiomyopathy, allergies, and urinary stones. As we said earlier, reputable breeders are working closely with vets to eliminate the possibility of these diseases occurring, but unfortunately, you can’t rule them out entirely. The life expectancy of your Mini Golden is estimated to range from 10 to 15 years, which is a bit longer than an average Golden Retriever. Standard Goldens can be expected to live from 10-12 years, as larger breeds tend to age more quickly. Here’s where the train stops on quick and easy answers. This dog can have a wildly different temperament from what you expect. 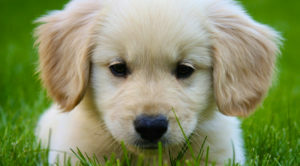 Since it’s a crossbreed, its parents’ traits will define the characteristics of a Miniature Golden Retriever. Let’s take a look at the temperament that you can expect from each breed that makes up the Mini Golden Retriever. The Golden Retriever, as a breed, is one of the most popular for families in the United States today. The AKC describes them as intelligent, exuberant, and eager-to-please. Anyone familiar with a typical Golden can tell you: they’re blessings as well as curses. A well-behaved dog must first be well-trained, and if you can find the right way to communicate with them, they won’t let you down. Golden Retrievers are perfect for active families with children. Poodles are another high-energy breed that excels in obedience training when they deem it worthwhile. They’re proud, often stubborn and hard-headed, which leads some to believe they are stupid. Some even say that poodles are beauties without brains. This couldn’t be farther from the truth: this breed is highly intelligent, though they may not always pick up on the social signals of other dogs. Poodles, on the whole, tend to do well with children and get along with other dogs when supervised. Earlier in this article, I mentioned a claim by the creator of Comfort Retrievers that Cocker Spaniels are higher bite risks… and the AKC doesn’t seem to agree right off the bat. The American Kennel Club describes Cockers as eager-to-please, gentle, and happy. They tend to do well with children and other dogs, as long as they don’t descend from certain show lines with less family-oriented temperaments. I will say that, in my experience, Spaniels tend to urinate when they’re happy or nervous. You’ll do well to approach calmly, perhaps with some cleaner at the ready! 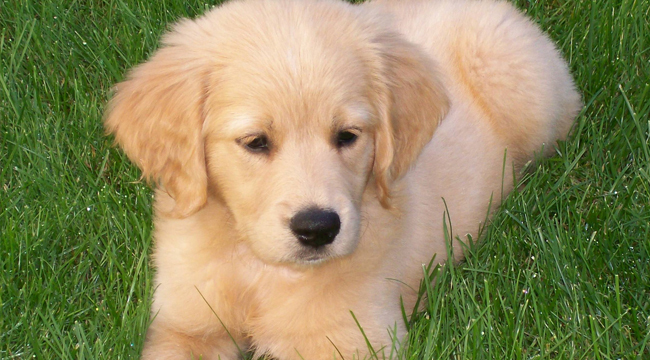 With its parent breeds’ temperament, you can’t go wrong with a Miniature Golden Retriever. If trained properly, Mini Golden Retrievers are good dogs: loyal, active, gentle, good with families, and overall happy chaps! They have some awesome qualities to keep you happy with your forever furry friend. Breeders are an obvious choice, and there are many Mini Golden Retriever breeders across the internet. A few notable ones are TaylorMadeMiniGoldens, MiniatureGoldenRetriever.net, Comfort Retrievers and CuteDoodles. Prices vary from breeder to breeder, but Miniature Golden Retriever puppies I’ve seen cost around $1500. Some sites quote a $6k price tag, so you might need to start saving if you want to get your hands on one of these beauties! When researching breeders, sift past backyard breeders and rather find reputable breeders that have a history of breeding the Miniature Golden Retriever. Make sure it’s what they do for a living and that they do plenty of tests on their dogs before breeding and after birth. This way, you can get your money’s worth, while doing what you can to avoid litters at higher risk of health or temperament issues. Any breeder that’s worth their salt will keep their puppies until they’re weaned from their mothers and will be completely transparent during the entire process. You also have the option to rescue a Mini Golden Retriever instead. Shelter dogs are 100% as lovely as those from breeders. In fact, if you aren’t concerned with knowing specific lineages and breed composition, going to shelters and rescues is a great way to make sure you aren’t supporting the wrong people. Backyard breeders are typically pretty obvious, but if you’re worried you’ll miss the signs, dogs up for adoption are cheaper— AND have the added bonus of giving a pup a much-needed home. Most rescue centers do require an adoption fee which is generally between $75 to $200 to cover basic puppy healthcare, plus you’ll have to pay for a dog license fee which is around $10. These fees are for spaying or neutering, heartworm and other parasite tests, and their first round of shots, but you’ll want to contact your rescue or shelter directly for specifics. 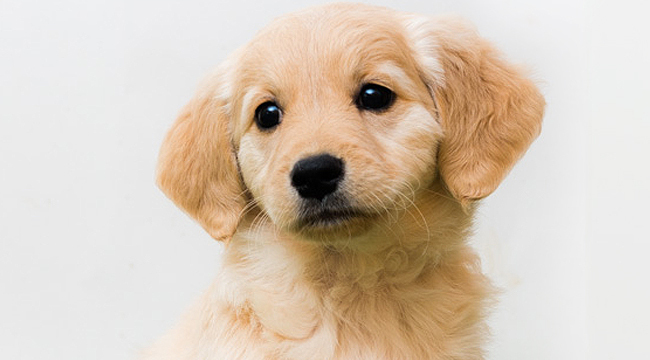 Mini Golden Retrievers have some pros and cons for you to consider. If you have an active lifestyle, a big heart, and time to dedicate to your furry friend, you’re a perfect candidate for a Mini Golden. Because of their easygoing temperament, these lovable hybrids are ideal for first-time owners, too. Miniature Golden Retrievers can be a bit pricey, so you might need to dig deep into your pockets for one of these outstanding pooches to call your own. They’re a dog for both families and individuals… all they ask is that your love and commitment to them mirrors theirs to you. And just check out how cute they are as puppies in the video below! In summary, a Mini Golden Retriever is a wonderful addition to your home, small in size but with no shortage of personality. Where do i find a dog like yours? How much is the range? Hey, Cliff! In our post, we listed some breeders that can give you a Mini Golden puppy. A Mini Golden puppy can cost anywhere from $1500 to $5000. Grandsons dog viciously killed by larger dogs and looking for mini Goldendoodle as a Therapy Dog as grandson has Autism. How do we find reputable breeders to choose from? Hi, Lynn! Sorry about your grandson’s dog. You can contact the breeders we’ve listed over at our Mini Goldendoodle post. Did you find out where to find one of these mini retrievers? Hey, Connie! In the last section of our post, you can find some Mini Golden Retriever breeders that you can get in touch with. Hi, Ric! 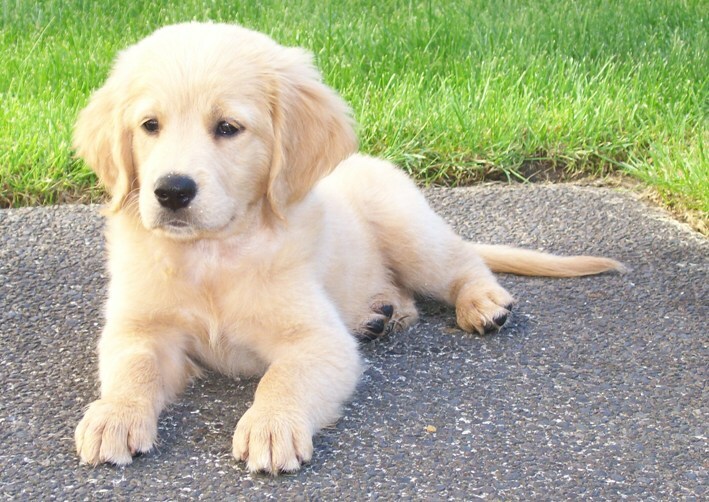 A Mini Golden puppy can cost anywhere from $1500 to $6000. We listed some notable breeders in our post. We hope you found a Mini Golden or Comfort Retriever, Lisa! I want one!! A female!! Any available this summer?? Hi, Mindy! You can contact the breeders we listed above to get your own Mini Golden. Do you breed this dog and do you have any pup availible within the next four to six weeks. where are you located, how much do they cost. No we don’t breed, David. Where did you get your dog? We would like one just like it. Hey, Louise! Did you mean Mini Goldens? We’ve listed some breeders above that you can contact. Expensiv för a mix of golden and somthing els!!! Yes, Mini Goldens tend to be expensive, like many ‘designer dogs’ today. The higher costs help cover all the genetic testing that goes into producing the healthiest puppies possible. Isn’t a the mini golden retriever that doesn’t have the cocker spaniel in his blood just a golden doodle or mini goldendoodle? Hi, Demi! Mini Goldens and Goldendoodles/Mini Goldendoodles are separate breeds. One difference is their coat: Goldendoodles usually have a curly coat, while the Mini Golden’s coat tends to be sleek and wavy. Otherwise, the two breeds have plenty of similarities. Hi, can you use mini retrievers for duck hunting?? Hey, Rayna! 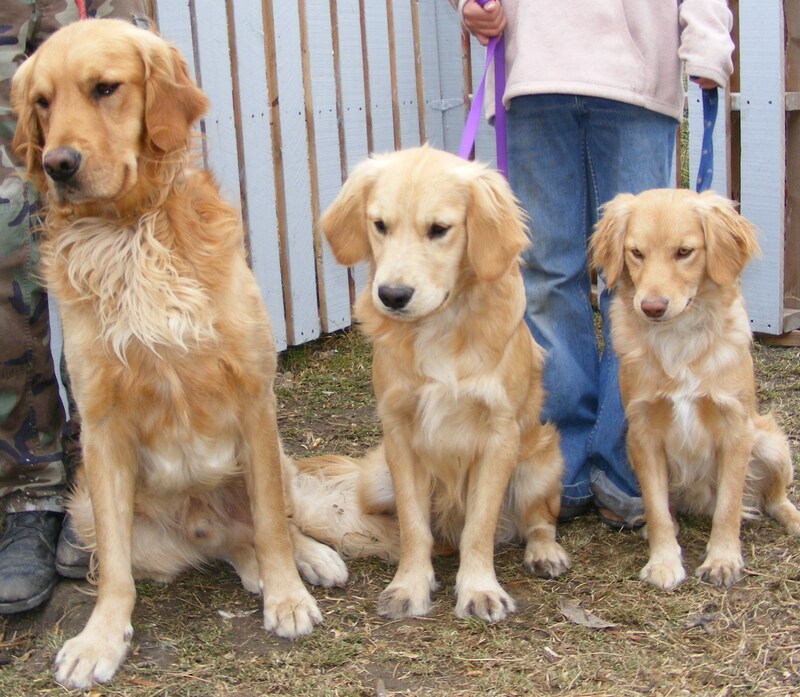 Most Mini Golden Retrievers these days are bred to be companion dogs. You could certainly try training a Mini Golden for duck hunting. These dogs are easy to teach! Hi we live on the Gold Coast Australia and are looking for a to buy a Comfort retriever puppy for around early Dec this year. Would anybody know who we could contact? Hi, Justine! 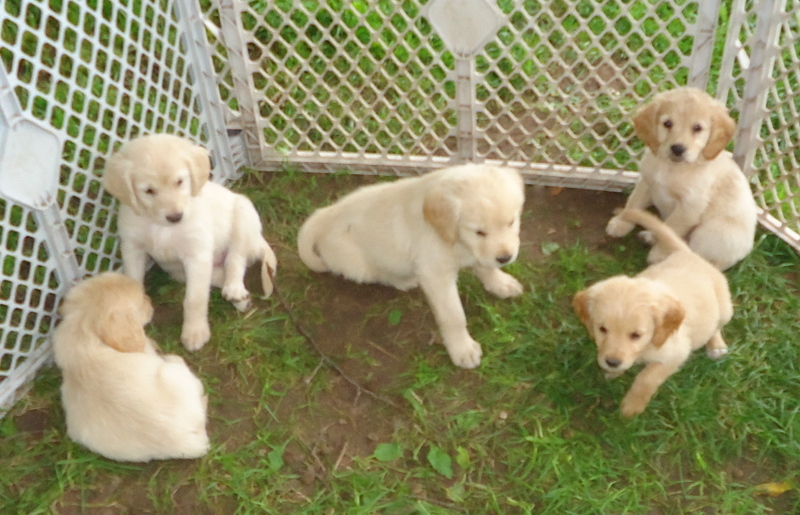 You can find Comfort Retrievers at some breeders that we listed above. This perfectly describes my Honey. She is definitely a people lover. I wish I could add a picture of her. Hi, Evelyn! We’d love to see your Honey! I want one!! A female!! Hi, Inessa! You can contact the breeders we listed above for your own Mini Golden! Thanks for sharing. We are doing some research. We had a Toller for 12 years and loved our dog, Banjo. We are now at a place where we would love to adopt another dog. Hey, Kathy! We’re sorry for your loss. We hope you find a new dog to love. Hey, Jason! Sorry, we’re not sure we understand. I don’t think cocker spaniels are considered aggressive. If you google them it says Trusting, Outgoing, Even Tempered, Sociable, Merry, Joyful”. I think some breeders may be putting out that negative information to steer buyers to their puppies so that they can charge more. Hi, Debra! We agree – each dog is unique, so they shouldn’t be generalized. Hey, Karen! We love the sweet, loving nature of Comfort Retrievers, too. That is amazing! How did you train him not to go upstairs? Hi, Mary Lynn! Consistent training goes a long way with Mini Goldens! Yes we want 1! Just had to put our Sadie down. We have had Golden Retrievers for almost 40 years continuosly for 40 years. We want a Miniture. Where can we get 1 for the $700.0 you mentioned? Hi, Gary! You can contact breeders for specific prices on Mini Goldens. You can also look for these dogs at rescues and shelters. I am looking for a mini Golden Doodle female. I already have a 12 yr old but want to get a small dog as we are getting older. Please help me to find one with proper papers and breeding. Hey, Barbara! 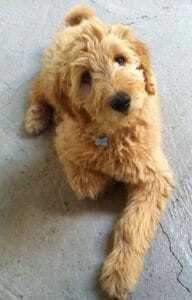 We’ve listed some breeders on our Mini Goldendoodle post. We hope you find the right dog for your family! Nice article about the breed. You did a good job assembling all the information with sources to seek out reputable breeders and doing a general explanation of it. Hopefully, people will do a better job reading your article and researching the dog than what it appears before they buy. I can’t imagine some of the posters above would make good owners for this fine dog breed. Hey, Brent! We’re glad you liked our post on these awesome dogs! Hi, Teddy! Mini Goldens are usually easy to teach. Firm, consistent training (and lots of positive reinforcement) is the key! Awesome! We hope you’re having fun with your new pet! Hi, Linds! We think they’re gorgeous dogs.